And my kudos to SpaceX for the Dragon docking! So with all the travel this weekend, I completely forgot to offer my congratulations to SpaceX for the successful berthing of the Dragon cargo vehicle to the ISS on Friday! I was away from the computer a lot of the time and didn’t remember I hadn’t mentioned it. After all the talking I’ve done about the flight prior to the docking, I figured I had better say something! I did get to watch the capture on the live NASA TV video stream on Friday morning before I left for Ohio. I have to say it was a lovely thing to see! And by the way, I’d like to recommend the web site Spaceflight Now for their excellent coverage of the mission, and of many others. If you want to keep up with what’s going on in space travel, US and others, that site is the place to go. They do a better job of collecting multimedia than anyone else I’ve seen as well. 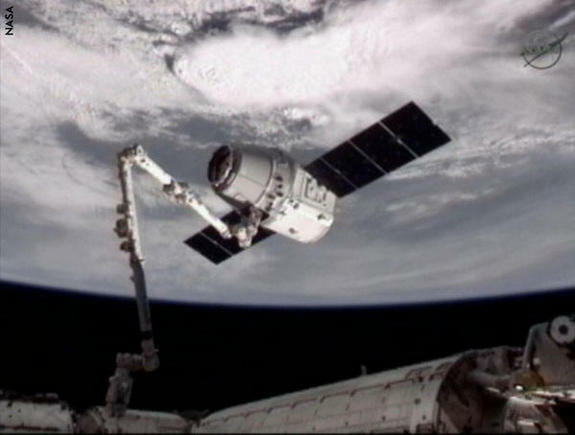 Tomorrow the Dragon undocks and returns to Earth. That will also be a monumental first! The other unmanned supply craft – the ESA ATVs and the Russian Progress – can’t be brought down intact. 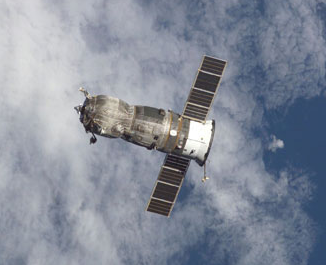 With the shuttles being turned into museum exhibits, there is no way to return things to Earth from the ISS now except with the crew changes using the Soyuz, which still is a Gemini-era two-man vehicle modified to squeeze three men into it. Not much space for bringing things home. SpaceX is far ahead of all competitors right now. SpaceX announced yesterday that they have sold a Falcon Heavy flight to Intelsat, for launch probably in the 2017 time frame. 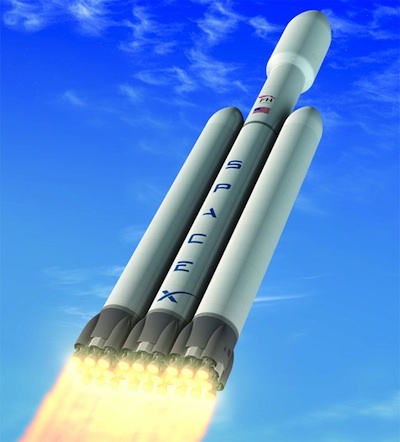 The Falcon Heavy has not yet flown, but it is scheduled for a first test flight from Vandenberg AFB in California in mid-2013. It’s a big beast, coupling three Falcon 9 core stages together. When operational, it will be the most powerful launch vehicle in the world – at least until NASA’s semi-mythical SLS heavy lifter actually flies. assuming it does. SpaceX is completing work on the Falcon Heavy on its own dime. No NASA money for this one! And…they estimate they can sell a flight for a third of what a United Launch Alliance Delta or Atlas would cost. Yep, a third…and for a far more powerful booster. I have much reason for optimism in our future as a spacefaring nation. It mainly hangs on Elon Musk and his company right now, but that’s far more than we had even five years ago. Not only will there be an economical way to supply crew and supplies to the ISS, but Musk is taking the long view. The Falcon Heavy is key to his plans to go to Mars. What’s even more reassuring is that Musk is not quite 41 years old yet. Imagine what the next two decades could be like! You are currently browsing the The Old Gray Cat blog archives for the day Wednesday, May 30th, 2012.